Every show. Every story. Every laugh. Every moving piece of music. Each season, the McComb/Bruchs Performing Arts Center offers a season ticket package and a show group package. It’s a great way to make sure you have a seat for sold out shows and save money on the face value of our tickets. 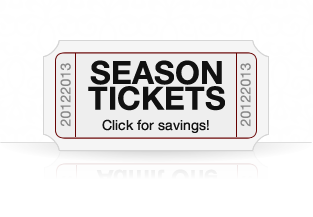 Call us today at 920-787-2189 or Toll Free 1-888-987-2189 to get your season ticket package! $2.00 off per ticket with the purchase of 10-19 tickets to the same performance. 10% off per ticket with the purchase of 20+ tickets to the same performance. 20-29 tickets gets 1 free. 30+ tickets gets 2 free. Contact the Box Office to receive the above discounts at (920) 787-2189 or (888) 987-2189. $5.00 per student & Free Chaperone w/each 16 seats purchased.